It is often convenient for landlords to pay the bills in rented properties. Particularly in HMO type situations where the tenants all have their own tenancy agreement and shared use of the common parts (e.g. living room, bathroom etc). After all in this situation the landlord is responsible for the Council Tax anyway. He will also be the person named for the utilities, as tenants will not be willing to have their name go on the bill if it is going to cover other people’s use of, say, electricity or water. 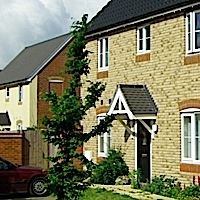 A ‘bills included’ type of tenancy is also popular with tenants. They know exactly how much they will be paying per month, which makes it easier for them to budget. However the is type of agreement needs to be set up correctly for it to work in a fair way. For example it needs to be clear about exactly what bills are covered under the agreement. Is it just council tax and utilities or does it cover other thinks like broadband and TV licenses? Then what if the tenants are reckless in running up the electricity and water bills? After all it does not affect what they pay. But exceptionally high utility bills could seriously affect a landlord’s profit. These things all need to be taken into account. There is a schedule in the agreement which sets out exactly what bills the landlord is paying. This is essential. That is fair to both parties. The landlord can increase the bills element of the rent if the costs go up so he is not out of pocket, but the tenants have the right to ‘put him to proof’ of the increase. This agreement seems to have worked well for my Landlord Law members. You can find out if it would be suitable for your situation by using my Which Tenancy Agreement Guide. It is quite right that tenants should pay any ‘excess’ on their usage over the agreed amount….as long as the L/L shows the bill as evidence of course. However, I do believe that the L/L should accept responsibility to show the bills at all times, and refund any ‘overpayment’, like the Summer for example when usage may be less than the agreed amount. Sadly, L/L’s will generally not understand the fairness of this.